Discussion in 'Air Force' started by johnqh, Jun 21, 2011. David Axe is a little amateurish and has some biases but I don't think he deserves an "unreliable" ban. His new revamped podcast is actually getting pretty good now, he has a former SF guy hosting it with him now and has better guests. In fact, his podcast episode on the India-Pakistan conflict recently was probably the best analysis so far I've heard or read. I'll post a link to it in the other thread. p.s. correction, that podcast is by Matthew Gault, who was a contributor to Axe's WarIsBoring. Although I'd class them both the same, roughly. It depends on a lot of factors. Is that just the marginal per unit production price or does it include development costs? Most likely includes the development cost which is normal, especially for India. The overpriced products pop up here and there due to the prolonged development projects. According to the article, it's the per unit cost. I believe it's unit cost per unit for the said procurement plan which involves, I think, 83 LCA Mk1A's. Of course, the pricing is always proportional with the number of ordered products. N00813, DGBJCLAU, Air Force Brat and 1 other person like this. Does the Pakistan Airforce have PL-12 and is the pakistani JF-17 capable of using them? It is because I have only seen pictures with PL-12 laying around nearby but not mounted underwing. They do and the export version is called SD-10. It's becoming clearer no F-16 has been shot down. India’s statement that its air force shot down one of Pakistan’s U.S.-built F-16 aircraft during a military flareup in late February appears untrue, accordingto a report by Washington, D.C.-based Foreign Policy magazine, which cited two U.S. defense officials it didn’t identify. 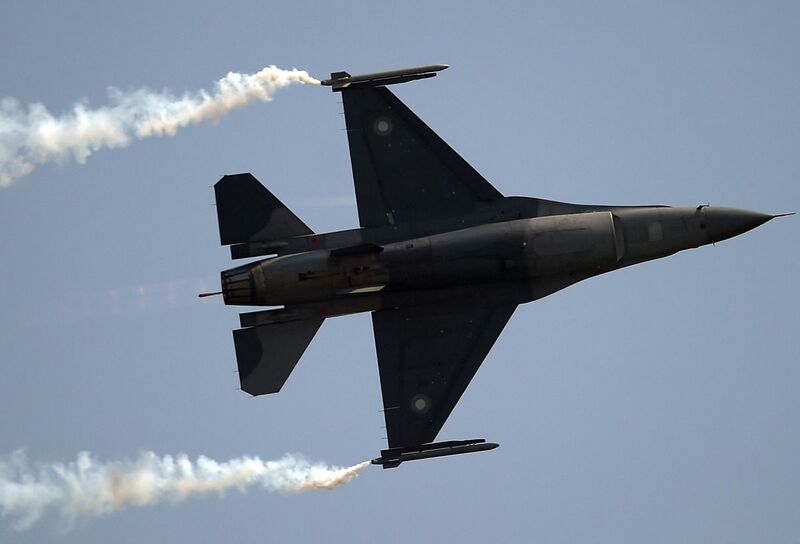 A U.S. count of Pakistan’s F-16 jets revealed none to be missing, the U.S. officials told Foreign Policy, undercutting India’s position that its air force shot down a Pakistan Air Force jet in a clash that also led to the loss of a Soviet-era Indian Air Force MiG-21 Bison. The aerial clash over Kashmir followed an Indian air strike on what New Delhi said was a terrorist training facility inside Pakistani territory. Islamabad has said consistently that it did not lose an F-16, that it had deployed JF-17 jets jointly built with China against India and that it had destroyed two Indian aircraft, as opposed to the one downed jet India has confirmed. "No Pakistani F16 was hit by Indian airforce," a statement from Pakistan’s military released Monday reads. Indian foreign ministry spokesman Raveesh Kumar did not immediately respond to a phone call and text messages for comment on Friday. In a previous statement in early March, Kumar had said "there are eye-witness accounts and electronic evidence that Pakistan deployed F-16 aircraft and that one F-16 was shot down" by an Indian pilot. N00813, davidau, aquauant and 2 others like this. PakistaniAircraft, araberuni, AleDucat and 4 others like this. After this report and the video of a twin pilot plane getting shot down , its highly probable that a SU-30mki was shot down during india pak air battle. This should be in the India-Pakistan conflict thread. AleDucat, DGBJCLAU and Mohsin77 like this. SPEWS-II Electronic Warfare by ASELSAN may be a great option for JF-17 Thunder fighters. The AN/ALQ-178 V(5)+ is an advanced, internally mounted self-protection system specifically designed for high performance fighter aircraft F-16 C.
The AN/ALQ-178 V(5)+ is an integrated Radar Warning Receiver (RWR) and ElectronicCountermeasures (ECM) Suite providing the pilot with situational awareness and deceptive RF jamming. The Suite also provides Countermeasures Dispensing System (CMD-Chaff/Flare) Management . The AN/ALQ-178 V(5)+ is flight-line programmable for mission adaptability. Record Mode provides data collection for post-flight analysis. The system design embodies extensive Built-In-Test (BIT) capabilities which provide fault isolation to the Line Replaceable Unit (LRU) level. In-flight BIT verifies proper operation. N00813 and princefaisal like this. [email protected], DGBJCLAU and Deino like this.